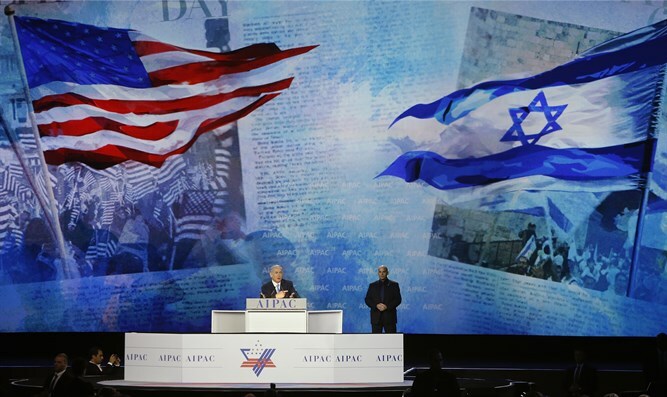 AIPAC stresses importance of US-Israel relationship ahead of its upcoming policy conference. AIPAC on Wednesday stressed the importance of the relationship between the United States and Israel in a statement on Twitter ahead of its policy conference to take place in Washington, DC, later this month. “America's partnership with Israel is a pillar of our foreign policy. A strong US-Israel relationship advances American values, safety, security and economic prosperity. Israeli innovations keep our troops safer and our environment cleaner,” said AIPAC. “Those who work to promote the US-Israel relationship do so because it is in America's best interest. And because an America that is engaged in the world – promoting our values, standing by our friends, and partnering to confront threats – is essential for a brighter future,” said the organization. “In three weeks, 18,000 Americans from all 50 states will gather in D.C. to celebrate and promote the US-Israel alliance. We come together determined, motivated and passionate about our cause and our bipartisan advocacy,” concluded AIPAC. The statement follows AIPAC’s recent criticism of the union between the Jewish Home and Otzma Yehudit parties, which had been brokered by Prime Minister Binyamin Netanyahu. While some on the left said that the criticism of the Otzma Yehudit deal was indicative of a crisis in AIPAC’s relations with the Israeli government, AIPAC later confirmed that Netanyahu will speak live at the 2019 AIPAC Policy Conference which is scheduled for March 24 to 26.